John Kavanagh, Lar Behan and Tyghe Ryan of None-So-Hardy nurseries with Minister of State Andrew Doyle TD and Daragh Little of VEON Ltd at the official launch of the 2018/2019 Planting Season. 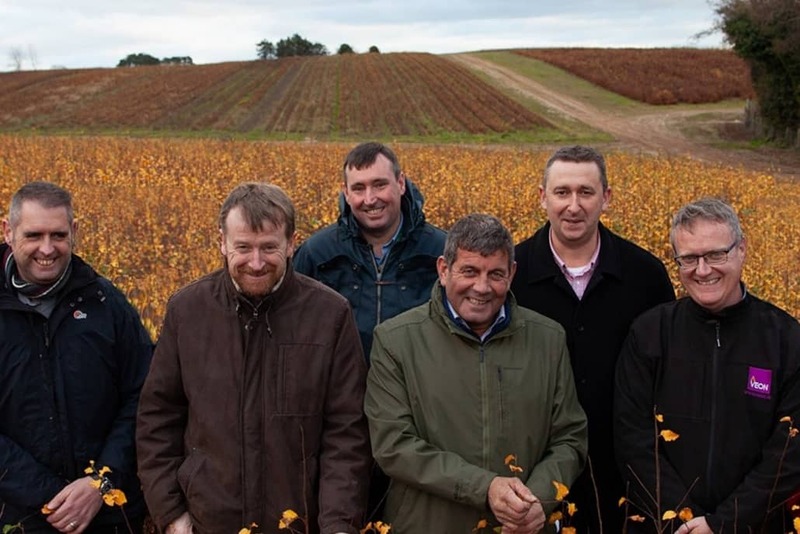 The launch took place on November 20th at the None-So-Hardy’s specialist broad-leaf nursery in Ballymurn, Co. Wexford from where almost five-million broadleaf trees will be dispatched during the upcoming planting season. At the official launch of the 2018/2019 Planting Season, Minister Doyle stated: “It’s appropriate that the opening of this year’s planting season is announced at a tree nursery specialising in broadleaf tree production, given the huge uplift in broadleaf planting so far this year”. Broadleaf tree planting levels have increased by 25% over the past year with resulting environmental economic and social benefits. Highlighting the important economic contribution that forestry makes in rural communities across the country, the Minister stated that 13,000 Irish farmers received nearly €68 million in forestry premia payments and an additional €25 million in revenue from timber sales. He also encouraged farmers to consider forestry as part of the farming mix, diversifying their income streams and also to maximise the value of marginal land. Veon Ltd is the forestry estate management consultant at the Coollattin Estate in County Wicklow from which three tonnes of Irish oak seedlings were collected to help supply an increasing demand from landowners to plant native species. Commenting at the official launch of the Planting Season, Daragh Little of Veon stated that Irish farmers now have a wonderful opportunity to secure a sustainable income from forestry on their less-productive land whilst mitigating some of the negative effects of Brexit on their other farming activities.